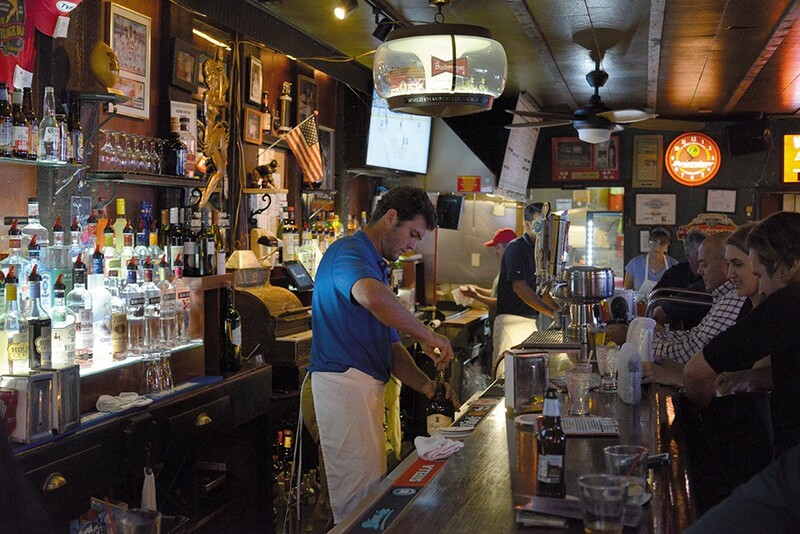 The Village Bar: One of the neighborhood bars we love. We all know dive bars — those delightfully dirty drinking dens that keep us downing shot after shot, beer after beer after beer. We also know cocktail bars, which in recent years have elevated mixology to an art form, expanding our notions of what makes a good drink. But most nights, we’re neither looking to be challenged nor to get shitfaced. We simply want to have a draft and a plate of food, see a friend or two, and maybe feel a little bit less alone in the world. 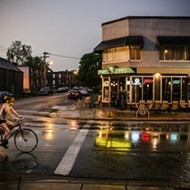 On nights like these, we’re looking for a good neighborhood bar. 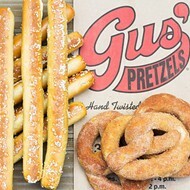 And, after months of research, we’re pleased to report that no one does these bars better than St. Louis. 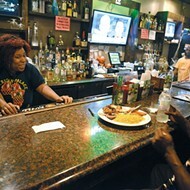 From Southampton to the North Riverfront, from St. Charles to south county, the metro area is positively full of watering holes where the vibe is chill, the barkeeps friendly and the prices reasonable. Different neighborhoods have different options. In Shaw, the neighborhood bar is a wine bar; in the Central West End, it’s got a terrific whiskey selection. In deep south city, you’re more likely to get a can of Stag. But all are welcoming — whether or not you qualify as a literal neighbor. In addition to presenting our picks for the area’s best neighborhood bars, our crackerjack team of correspondents has rounded up the bars with the best food menus, the best bars for day drinking and bars to take you around the world. A salute to neighborhood bars doesn’t mean you have to stay in your neighborhood. It’s a big city out there; why not go exploring?